Since I've been spending some time taking a close look at the Japanese beetles, I've been seeing lots of other insect life too. I love taking a close look at the tiny creatures in my garden, because when I do so I'm always amazed. I'm also frustrated a little bit, as it makes me wonder just how many fascinating and beautiful insects are hiding all around me. I want to find and photograph them all, but I expect it would be a full-time endeavor, so I'll make due with the few that I do find. 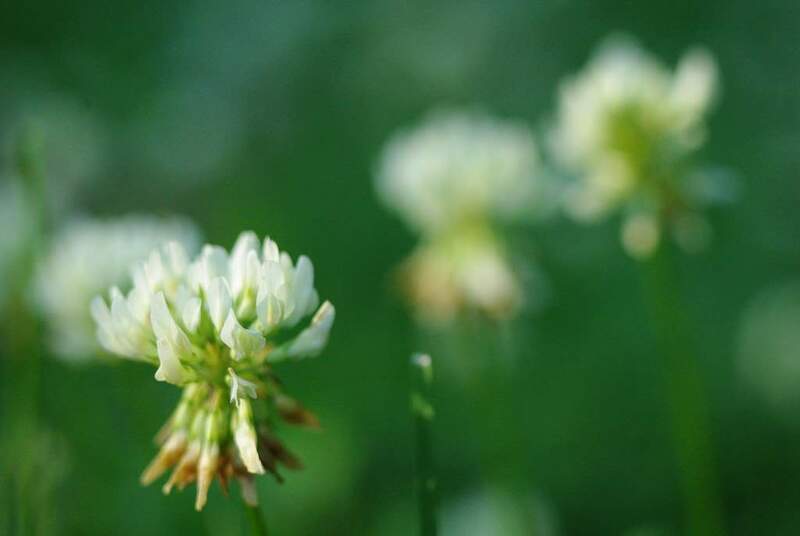 Like many other non-lawn-obsessed gardeners (in other words, "normal people") white clover makes up a good portion of my lawn. Fortunately I like the way a good patch of clover leaves look, and love having the little white flowers everywhere. Pretty much everybody else who visits my yard loves the clover too, but I'm not talking about human visitors. I'm talking about the four and six-legged visitors. Ladies and gentlemen... the beetles! 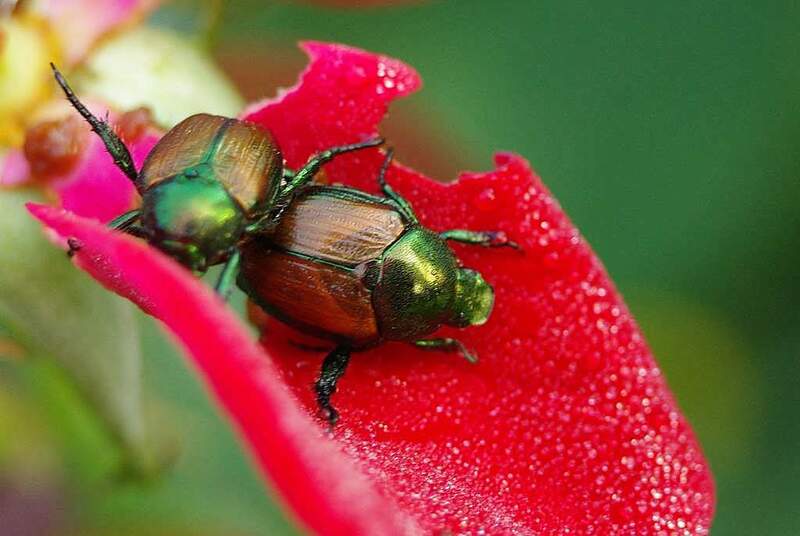 Once again it's Japanese beetle season. 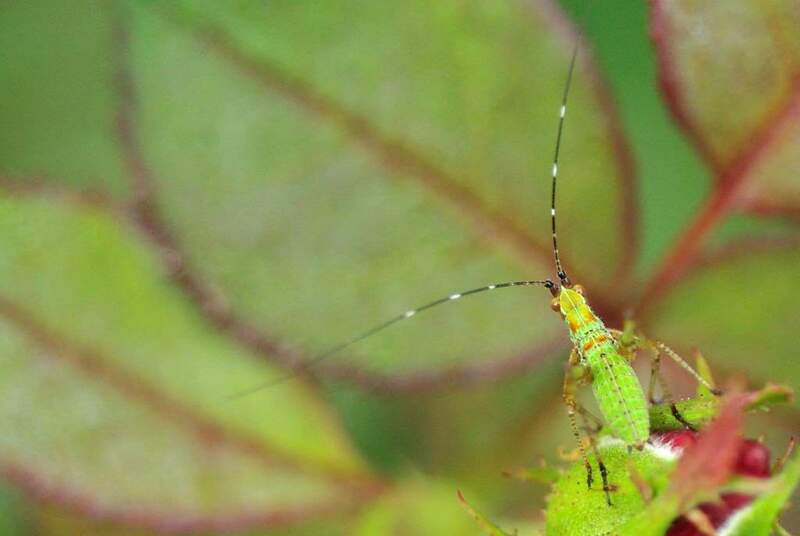 Most of the eastern and central parts of the country "enjoy" this pest each year in early summer, and I certainly have them in my St. Louis garden. Here's a brief look, as I don't like to spend too much time on them -- it's a bit depressing. I don't know how it is in your garden, but in mine my planting beds get changed a lot. I'll put together what I think is a fantastic bed, and a year or two or three later it's a mess. Plants have died, others have gotten too big, weeds have taken over, plants are struggling due to too much shade -- for whatever the reason, some beds just need to be redone every few years. I've already done a couple of the worst ones this year, so I've almost gotten all of my planting beds looking nice again. There's one smaller one that was left to do, and on Saturday I tackled it after tying up those floppy bamboos. This bed is right next to the second floppy bamboo, and since I had a good long look at it while moving the ladder around during the tie-up, I decided I couldn't live with it anymore. You know how at some point in the season some plants just go crazy, get out of hand? Whether from a growth spurt, from lack of attention on your part, or some interference by Mother Nature plants get too big, start leaning, fall off their supporting structures, hang a branch where it isn't wanted -- in short, they just need some human intervention to get back in line. Maybe some sharp-edged tools need to touch them. Maybe they just need to be introduced to some twine or strong cord. I have plants like that. I call them "bamboo". 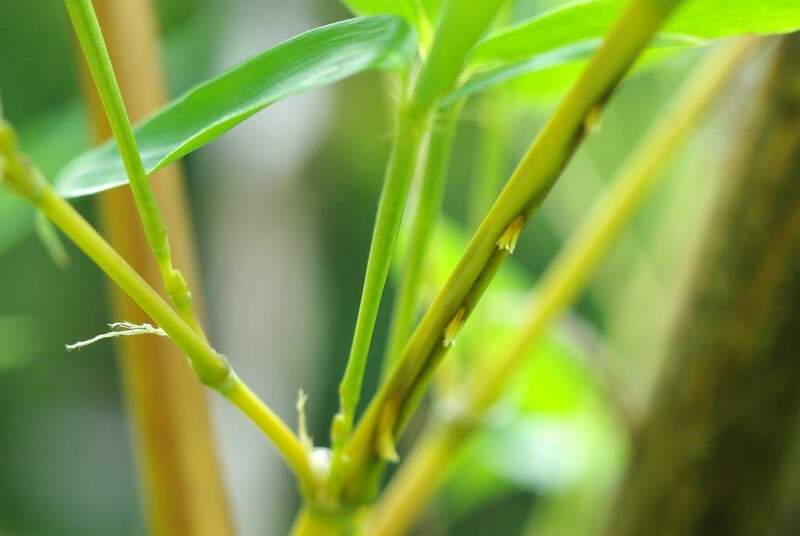 If you grow bamboo and have limited growing space like I do, it's a fact of life that you'll need to deal with wayward shoots, spreading rhizomes, and floppy culms (canes) at least once a year with each plant. 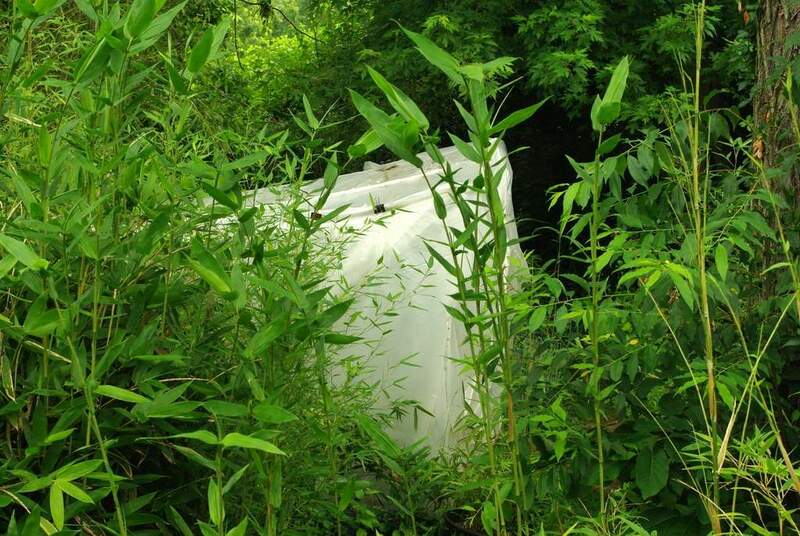 Today I've got a few of those bamboo projects related to floppy or leaning culms to write about. I've started this year off badly in this planting bed. It really started last year when I let the Spanish flag vines overgrow everything in this spot, and although I think I weeded this early this spring, I haven't touched it in a while. Now that I want to plant a new vine here, I need to get things back under control. 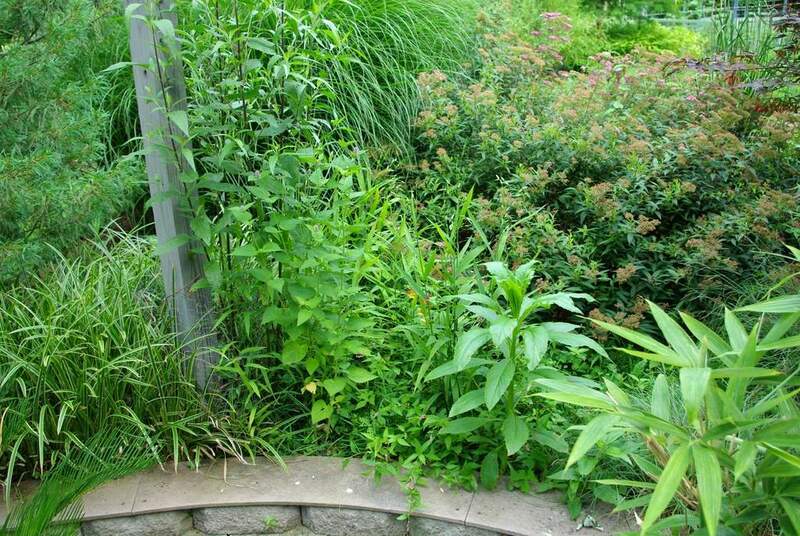 How many different kinds of weeds can you spot? I was walking around the garden this wonderfully cool morning, trying to find something to photograph. I was hoping for something insect related, as the night before I was tempted to take a bunch of fly and ant photos but decided to spare you, as the subject matter was a bit too grisly. (If you're curious, I'll just remind you that it's baby bunny season here, and we have a nearly-feral cat as a regular visitor.) 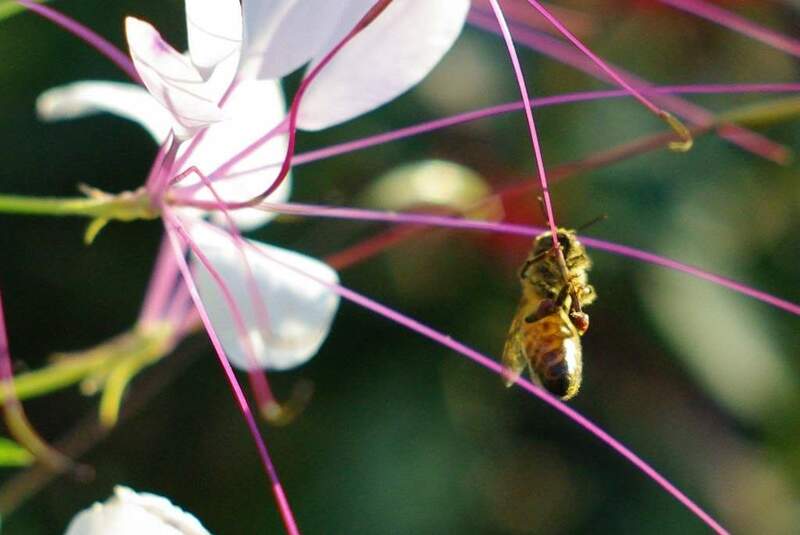 Anyway, I was drawn this morning to the Cleome or "spider flowers", and soon noticed several honey bees visiting them. Perfect! Cleome is to me a very interesting plant, and apparently it was to the bees too. I like it because once it starts flowering it doesn't stop, with each flower head continuously elongating, sort of like an atomic blast mushroom cloud, but of lovely flowers instead of nasty radioactive dust. "You stay right here!" is what momma deer said to this fawn, and the young one listened. 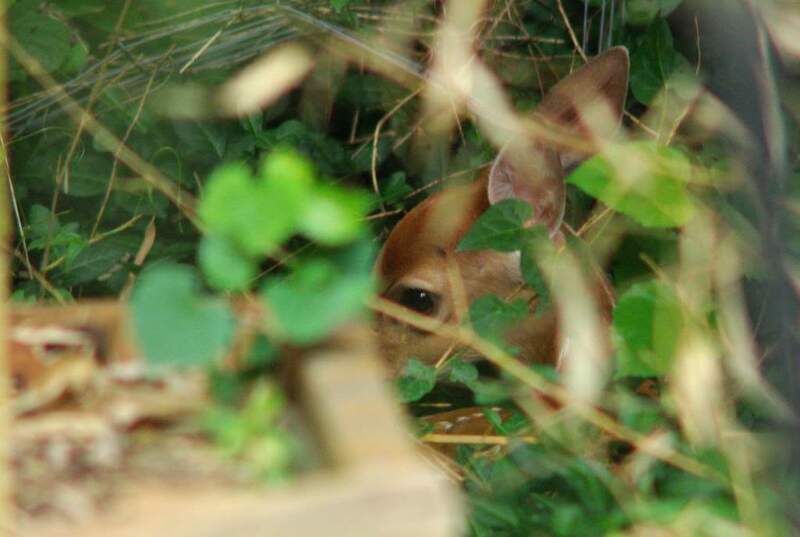 The other day I scared away a fawn -- or at least the flash of it I actually saw seemed like a fawn -- when I threw a pile of weeds onto the compost pile. Then yesterday I saw a pair of fawns come through the yard with their mother, so I've been keeping an eye out for this next generation of Nature-supplied pruners. This tyke was back near my compost pile, and luckily I noticed it before I bumbled back there again -- I didn't want to have to worry about scaring another fawn away, possibly separating it from its mother. 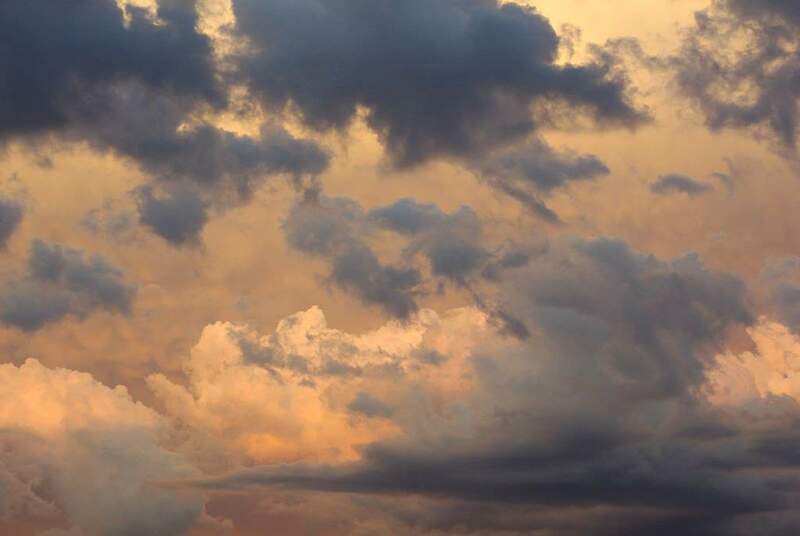 I love clouds, and photograph any notable ones I see. You may have noticed that I post quite a few sunrise and stormcloud photos. You may not have realized that I do not typically post sunset photos. It's not that I don't like sunset clouds, it's that we can't typically see them from our house. We have no view to the west, so unless the sunset is dramatic enough to spill over into the sky directly above us, or unless conditions to the east are just right, we're not seeing anything at sundown. Last evening the conditions were right though, as huge stormclouds to the east acted as a screen for the ruddy light of sunset, making the sky irresistible to me. Here's a taste of what I saw. Cicada season is winding down, Japanese beetle season is starting up, and the heat and humidity of this last day of spring have me completely uninspired. The garden just seems like a long list of chores right now, and I don't want to be out in it. Thankfully I read a post on pollinators over at Great Stems, a cool garden blog by Austin wildlife gardener Meredith -- her photos of bees, birds, and pollinating insects gave me the little kick in the pants I needed to get the camera out into the garden. As usual once I was out there and looking closely enough, I found plenty of camera-worthy subjects. 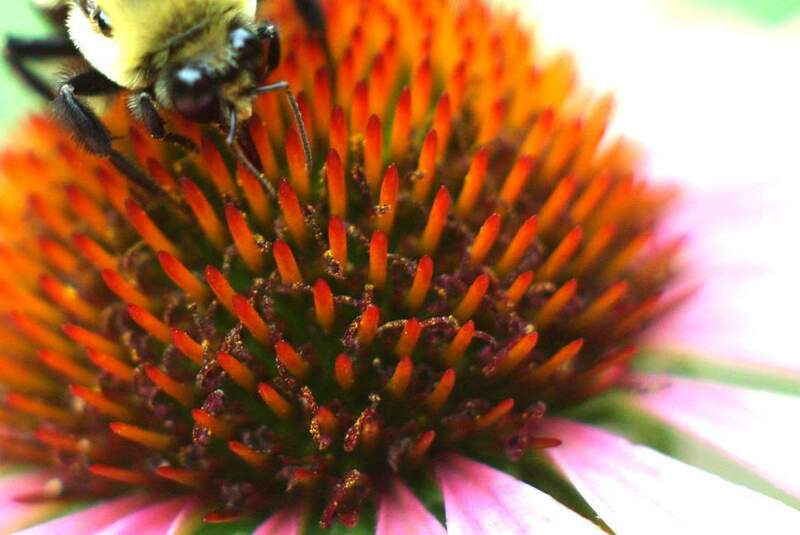 I decided though to just post a few photos of bees and coneflowers. I'm keeping it simple today. 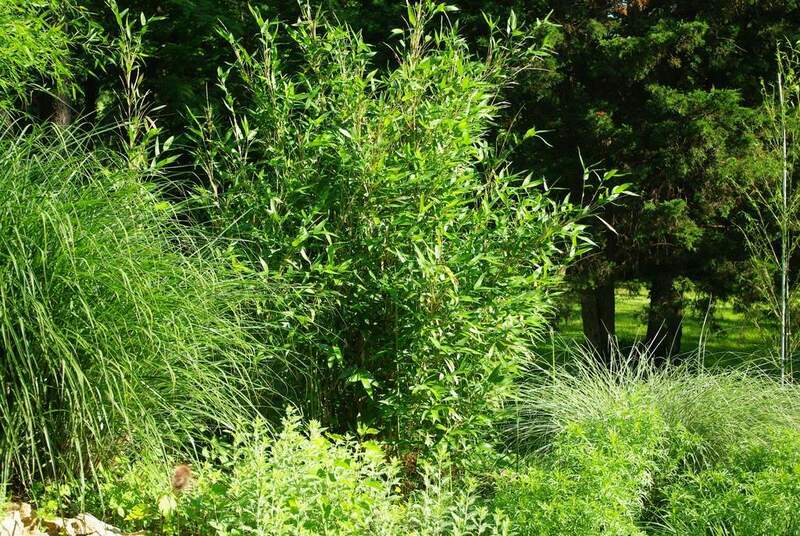 A few summers ago when I was at the height of my bamboo-acquiring phase and had to have any bamboo that had even a remote chance of surviving in my climate I found a fantastic deal on a plant locally. 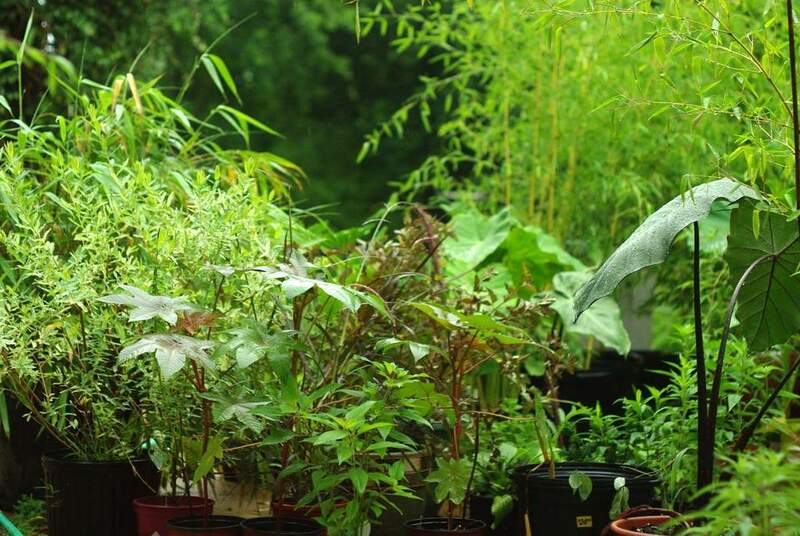 Typically there aren't too many choices when buying bamboo locally, but every nursery usually carries one or two different types at different times of the year. 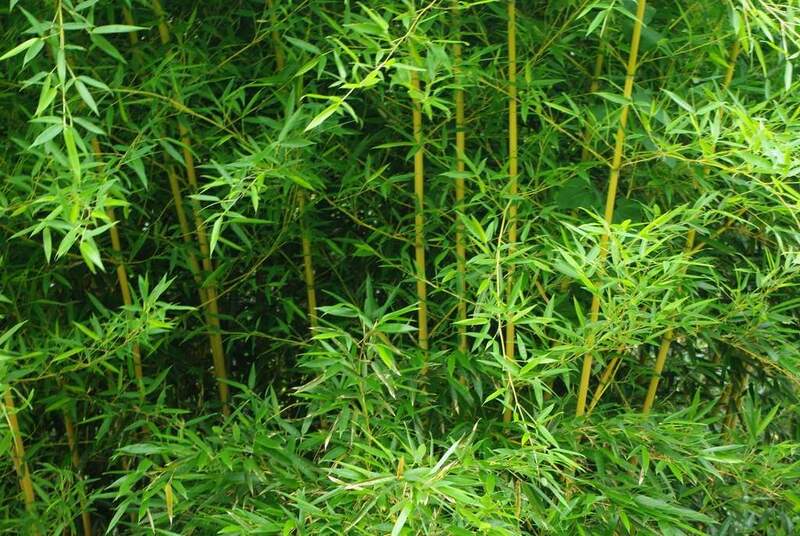 I spent a lot of time combing the local garden centers that summer looking for bamboo (and other plants), and one morning I found two large pots of "dwarf whitestripe" bamboo marked down to $10. I quickly grabbed one of them and planted it in a prominent spot in my garden, as Pleioblastus fortunei is a beautiful variegated bamboo. 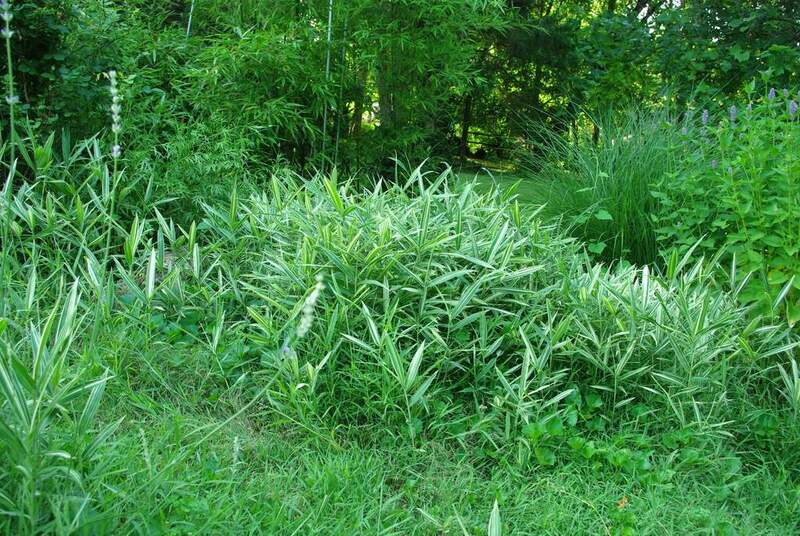 It would be treated as a groundcover bamboo here, dying back to the ground each winter, but coming back strong each spring. Unfortunately, the spring after being planted it started to flower. 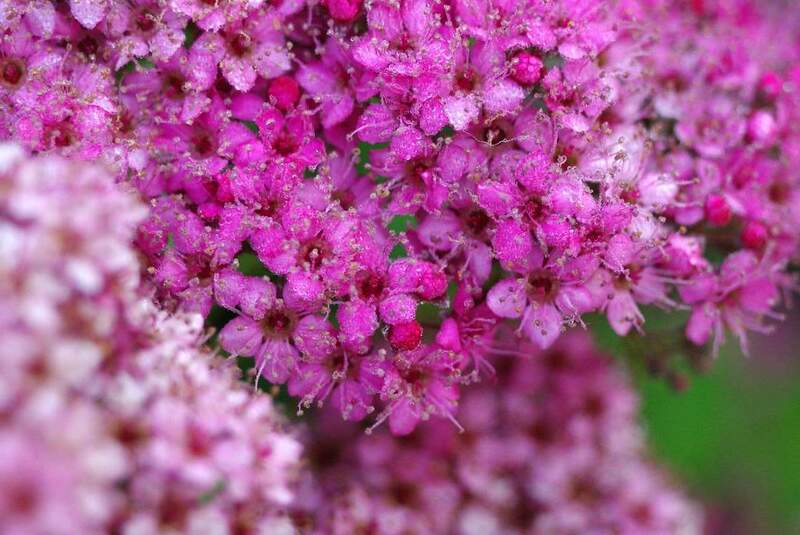 I then read reports of other people's fortunei flowering too, which was distressing. 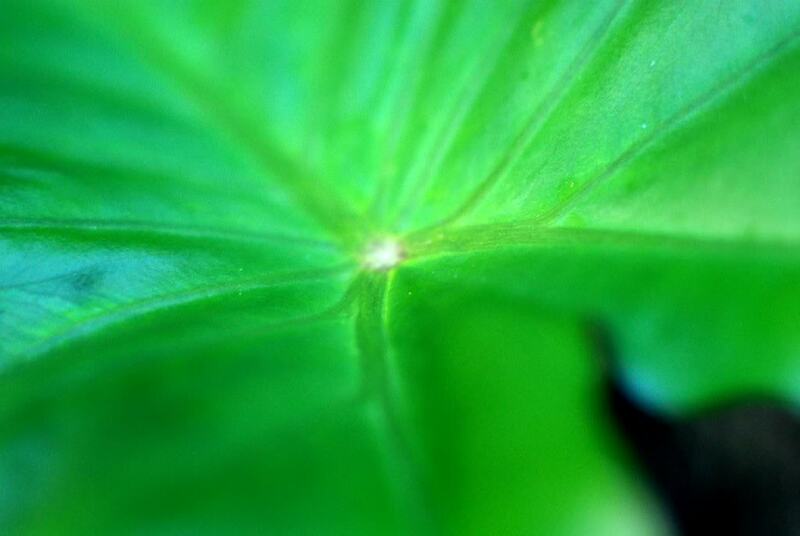 When bamboo flowers, it usually puts all of its energy into producing seeds then dies. A bargain plant that dies is no bargain, is it? So I anxiously waited for this spring's shoots to see if the plant was going to produce more flowers than it did the previous year. It hasn't been too long since I opened my first mango pit and put the damp paper towel-wrapped seed into a plastic bag, but there's already some activity going on. I've always been a "park the cars in the garage" type of guy, and never understood how people could have a garage full of "junk" or whatever and therefore need to park their vehicles in the driveway or on the street. Well, I still don't know how it happens for other people, but I'm one of those "cars in the driveway" people now. Not that I really want to be. It started with the kittens last year, then continued with all of the potted plants over the winter, but we haven't been able to park our cars in the garage for over a year now. Because of that, there's really no reason to keep the garage end of the driveway clear, so naturally I filled it up with potted plants. This past winter was the second one that I've built a temporary greenhouse in my garden from PVC pipes and plastic sheeting (and a few other parts). Last year I took it down on May 24th, which I thought was pretty late. That was nothing compared to this year though, as I've been putting this job off again and again. I finally took it down last weekend. This past weekend I continued the process of getting the deck into shape. 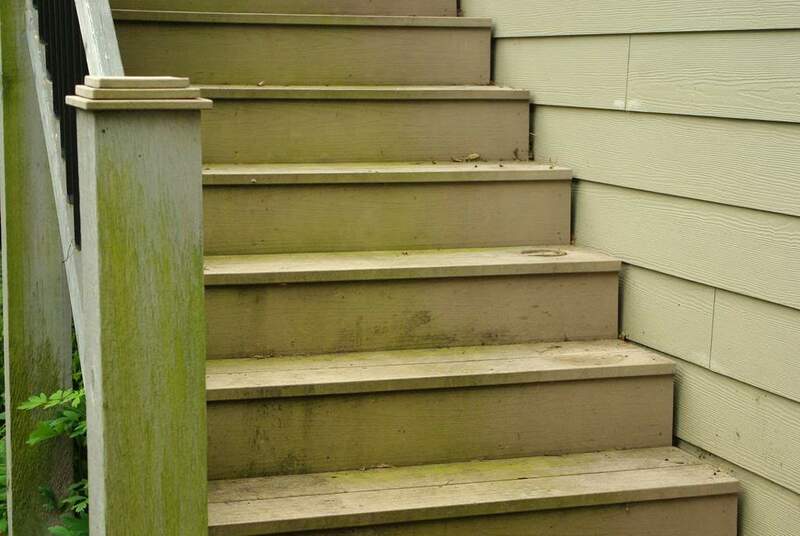 Previously I had cleaned the deck stairs, then cleaned the deck itself (which I don't think I posted about). This weekend's project was the table. I built this table a few years ago, and have always had a problem with the edging on it. I think I've taken care of it now though... read on for the whole process. I'm pretty bad at keeping on top of my tomato plants, as I never seem to remove the "suckers" when they're small. Every once in a while I realize the plants are getting way out of control, and I remove what has become a pretty large section of plant. Of course this makes me feel guilty and wasteful, as it seems like I'm holding a pretty substantial plant in my hand, and I hate throwing away good plants. So this year I decided to pot up a few cuttings and see what happens. I figured that the cuttings would root pretty easily, as tomatoes can create adventitious roots, which means they can form roots all along the stem. That's why you always hear to plant your tomato plants deeply -- don't just plant them at the same depth they're growing in the pot. 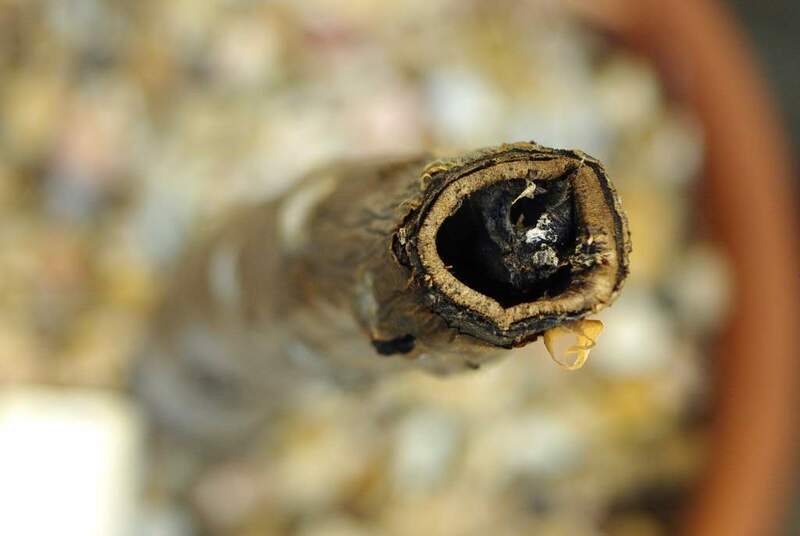 Roots will form on the buried stem, and more roots means stronger plants. I've grown echinacea purpea or "purple coneflowers" for years. They're beautiful, bee magnets, bulletproof in the heat, feed the birds -- just a perfect native garden flower. I've always grown the traditional purple varieties like 'Magnus', but a couple of years ago I added a couple of 'White Swan', which (not surprisingly) have white flowers. 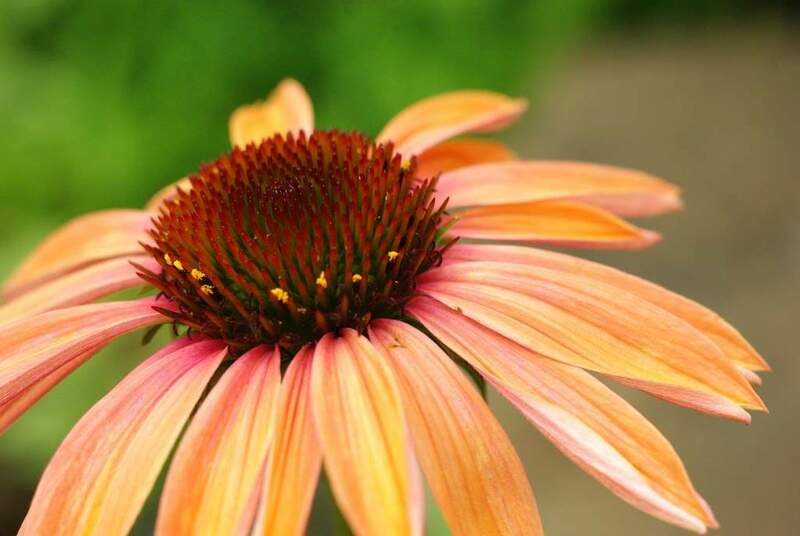 "Purple" coneflowers are now available in almost any color you want. Last year I added a few new varieties, and although I lost two of them over the winter (the reports on some of the new types seem to indicate they're not as reliably cold-hardy as older varieties), they're starting to bloom now and they're wonderful! I'll need to put out some plant tags so I can remember which plants are which, but I think this one is 'Big Sky Twilight'. It's sort of a dusky pinkish orange. 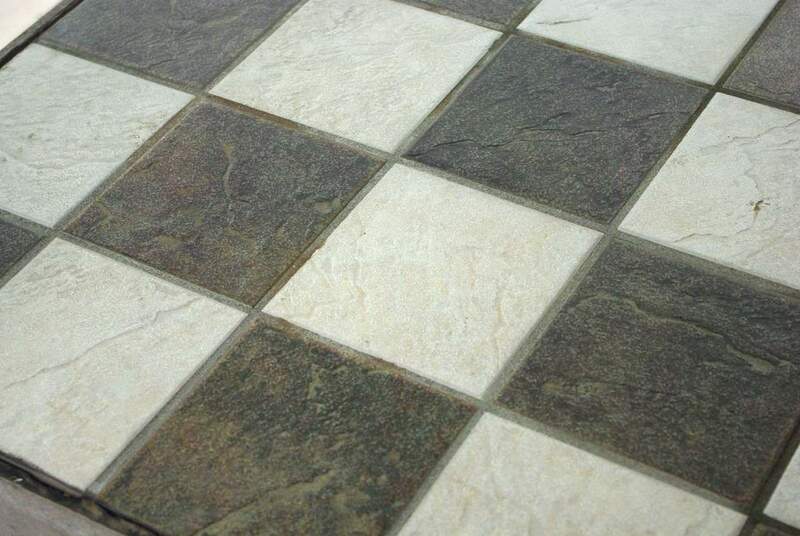 Kind of pale but really nice. This bamboo has to go... or does it? As you may know from reading my previous 400 or so posts, I love growing bamboo. The problem I have right now is that I'm limited in planting space, so many of the around 50 varieties I grow are kept in pots. 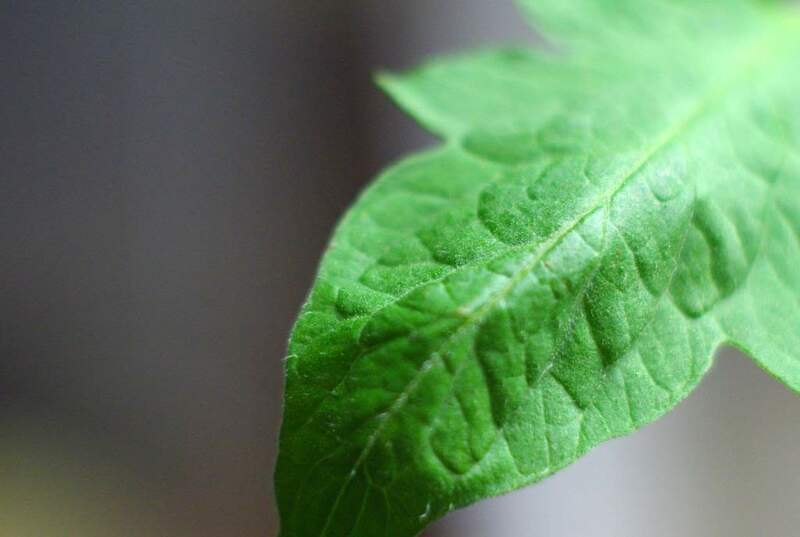 I'm constantly evaluating the ones that have been planted in the ground though, looking for signs of weakness, poor winter hardiness, or any other reason to remove a plant and free up its location for one of my potted species. 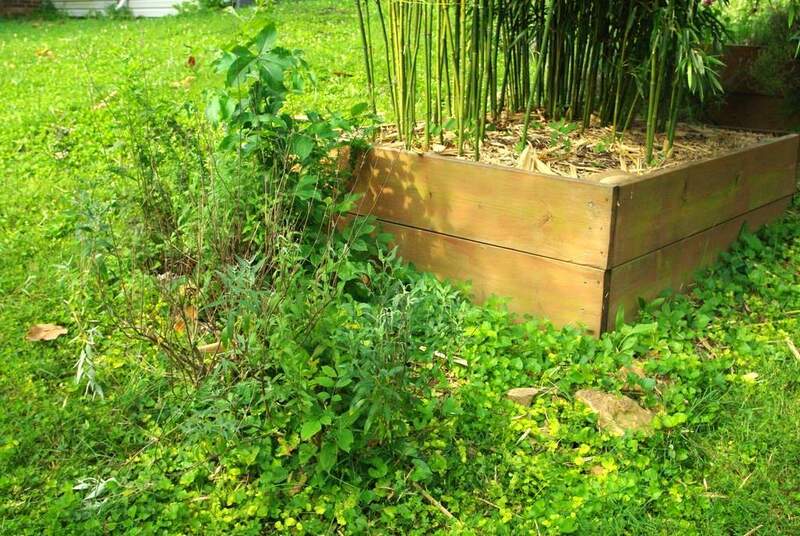 I did this last summer when I removed one bamboo and planted another. I've been keeping an eye on this species (Semiarundinaria fastuosa 'Viridis'). It did better than I hoped last winter, staying about 50% green. 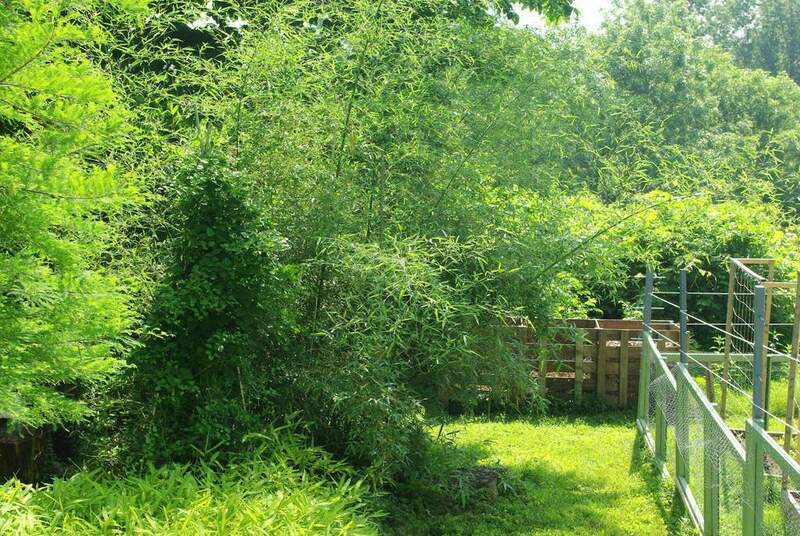 It's not sizing up for me very fast though (it's about 8' tall right now), and it's reported to have rhizomes -- the underground "runners" that allow the bamboo to spread -- that grow deeper than usual, making it difficult to rhizome prune and keep the plant from taking over. I first saw this plant last summer, in an expensive hanging basket at one of my local garden centers. 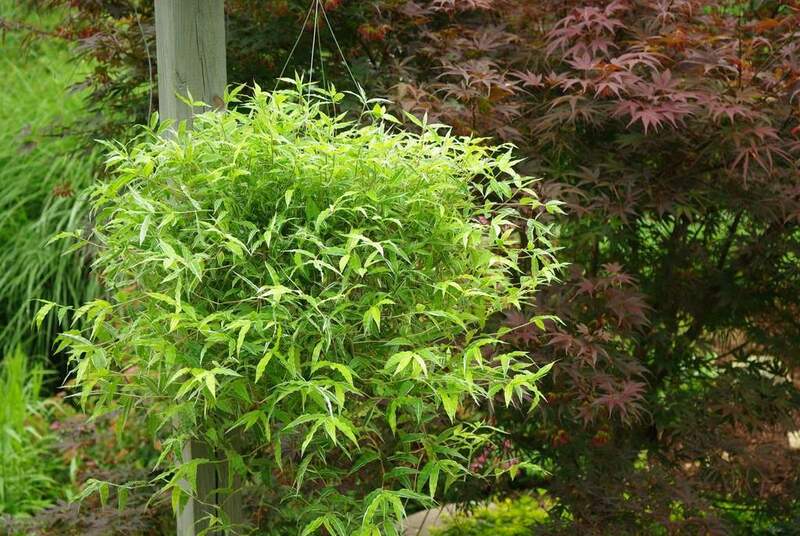 What caught my eye was that it looked a lot like a variegated bamboo, but in hanging basket form! Beautiful! Unfortunately the basket didn't have a plant tag in it, so I had no idea what the plant was. 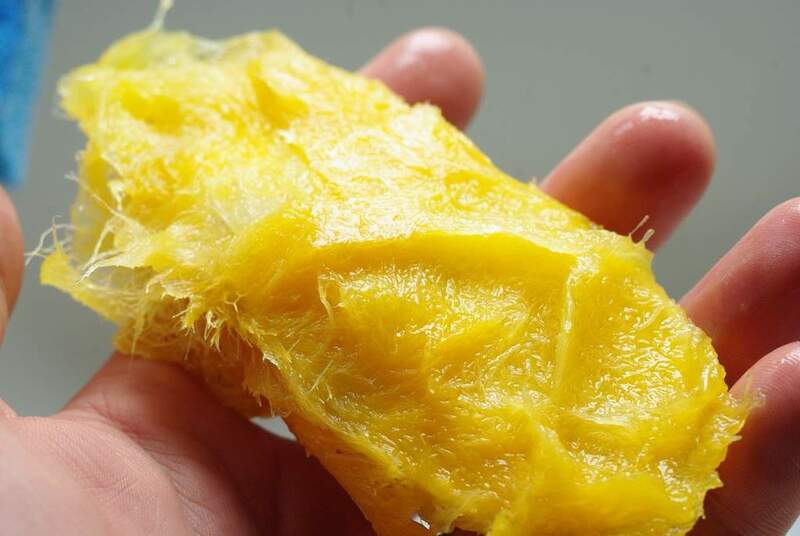 I've only recently been introduced to the wonderful fruit that is mango. Technically I had my first taste of mango a decade ago in California, and I've been drinking mango juice for a while, but I've never started with a whole mango until now. I won't talk about the luscious fruit, how to tell if it's ripe, how to eat it -- as interesting as all of those topics are -- but I will talk about the pit. 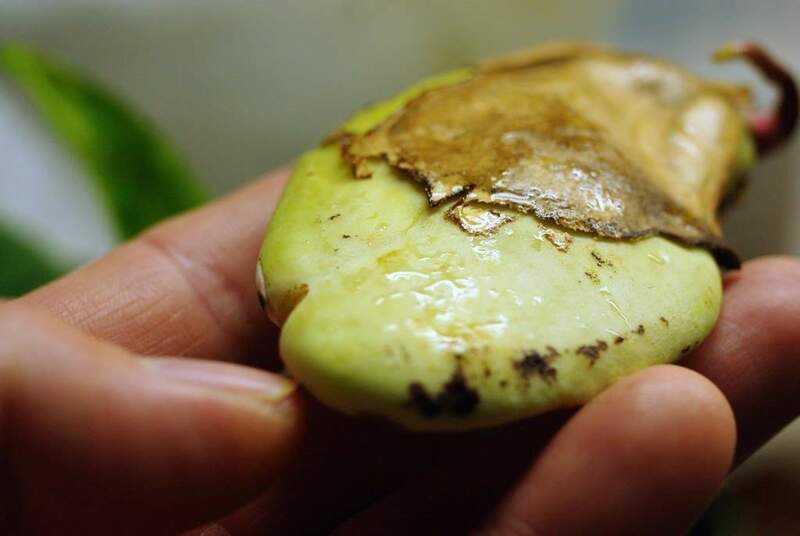 As a gardener I'm usually interested in the seeds that fruits produce, but this one was extra-fascinating. Mango pits are gigantic! 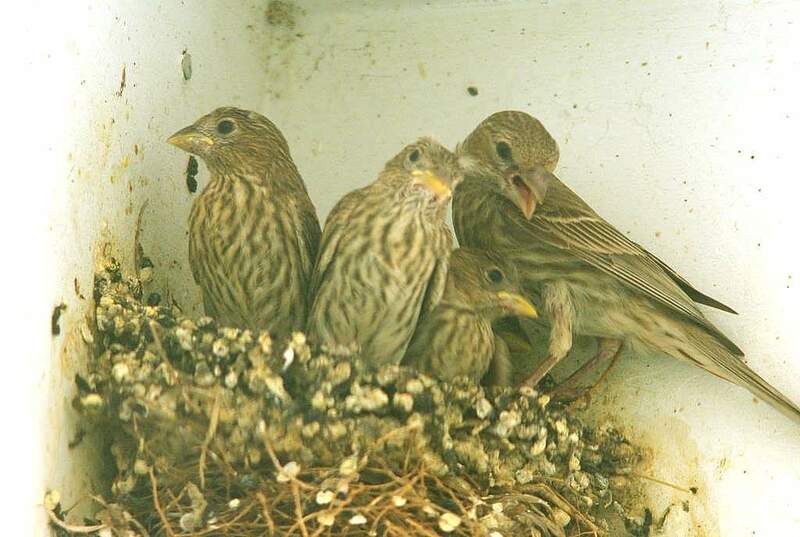 The second brood of house finches nesting in my front porch are just about ready to leave the nest. I missed their younger chick days probably because they stayed hunkered down in their really tall nest, but now that they're bigger they're standing up in the nest all of the time. That's probably due to the unseasonably hot weather we've had for a couple of weeks -- 95ºF (35ºC) or so every day, which is 10ºF above normal. They're trying to stay cool! I'm pretty sure the 13-year cicada emergence in St. Louis has pretty much ended -- at least the emergence part. The incessant calling, flying around, and mating is still going strong. (Read my previous posts about the cicadas here, here, and here with videos.) 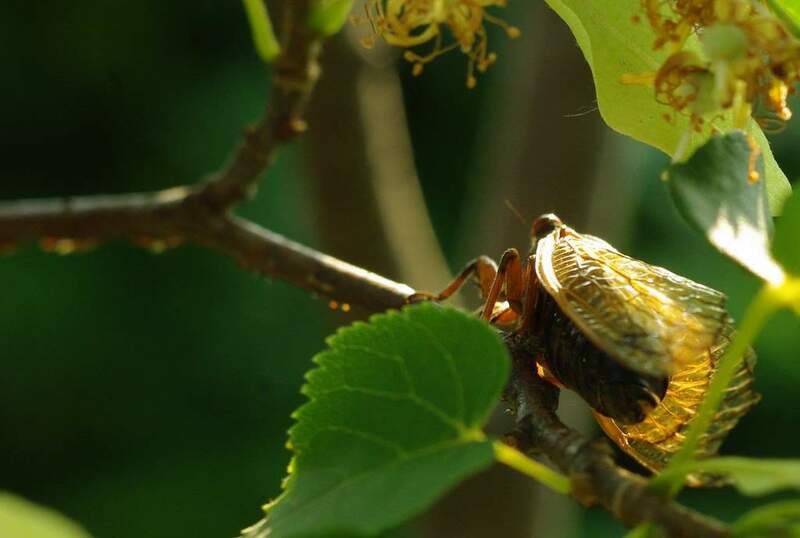 Mating cicadas means egg-laying cicadas, which means plant damage. The cicadas aren't dangerous for plants, until the females start laying eggs that is. Then things can get touchy for almost every tree and shrub in the area. Each year I seem to have a new plant obsession. This year it is elephant ears and sempervivum. A few years ago it was thymes, and I prepared a then-new planting bed that I imagined blanketed in soft, fragrant thymes. 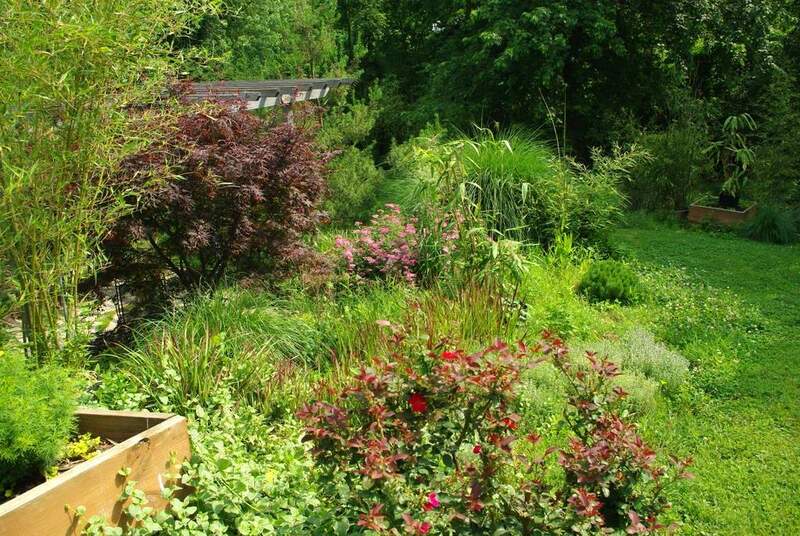 Their different colors, textures, and growing habits would create a beautiful, low-growing bed -- a small lawn of thymes that required very little maintenance once the plants were established and had "choked out" all of the weeds. That was the plan, and it seemed like a decent one. The soil was prepared, the thymes went in, and they grew quickly -- the result was really beautiful that first year. The second year reality set in, and it sort of went downhill from there. Not what I paid for. I'm a bit disappointed today. A plant I purchased turned out to be mislabeled. If this were a potted plant that I purchased just recently, I'd most likely return it to the nursery or garden center for a refund or replacement. Of course it couldn't be that easy, as I bought this a couple of months ago as a bagged, bareroot plant from a big-box store. What makes it more disappointing is that I thought I had been a smart shopper and gotten the best plant available. Although I'm eager to jump into the garden and get started on some projects, I decided to enjoy the early morning quiet and soak everything in. I noticed that the coneflowers are starting to bloom, then I noticed that the Agastache is too -- in fact, there are lots of plants in either the early stages of flowering, or just about to be. So today's post is what I saw. I refrained from taking photos of cicadas, even though they're everywhere and are quite photogenic I think -- although I did capture images of a couple other creatures this morning. Enjoy. Last year one of the new plants I tried was plumeria. I bought a couple of cuttings (which looked like fat sticks), planted them in pots and waited. They eventually woke up and formed nice little plants. The overwintering process was not kind to them though, and it appears that neither of them survived the winter. If you've been reading my blog for a while you probably know that I love the drama that large plants add to the garden: bamboo, elephant ears, castor bean, large grasses, gunnera -- all plants that make an impact even from across the yard. You probably also know that I love the other end of the scale too, taking a close look at the plants and creatures that inhabit my garden. Yesterday morning I came across another example of the small-scale drama that must be happening hundreds of times a day throughout the garden if you take the time to look for them. 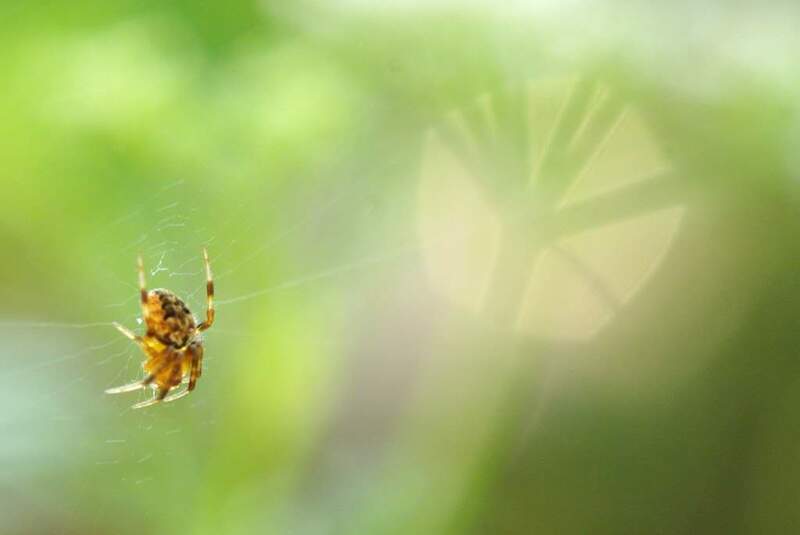 A tiny spider had built a web in my flowering cilantro, and I watched for several minutes. I spent too much time last year paying attention to plants and not enough time to other components of my garden: my "stream", the pergolas, the deck. I'd like to think that these things being made of sturdier stuff than plants such as wood and stone don't need much care. Unfortunately my year off has left some of them looking rather bad. For instance, my deck stairs. They're quite dirty, stained with tannins from decaying leaves, and have pretty decent patches of algae and mildew. Not attractive. Time to do something about it.